The current election for the Wisconsin Supreme Court is not likely to be the high spending special interest frenzy that the court elections in 2007 and 2008 were. 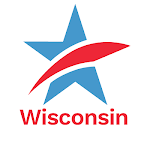 But it is still very nasty and charges continue to fly about how campaign contributions influence the candidates, further eroding public confidence in the impartiality and integrity of Wisconsin's highest court. Read this recent, featured article from the Milwaukee Journal Sentinel. It details the problems in the 2009 election in the race between the Chief Justice and her challenger and it contains comment from Common Cause in Wisconsin about what seems to us to be the only viable way we can improve the current, distasteful process in the near term. Full Public Financing of Wisconsin Supreme Court Elections Is the Only Viable SolutionTweet this!